Complete your visit to Hawaii with an authentic luau experience at Germaine's Luau in Oahu! Located on a private beach on Oahu's sunny west shore, this is the perfect way to escape the bustling city and enjoy some quiet time with friends and family. 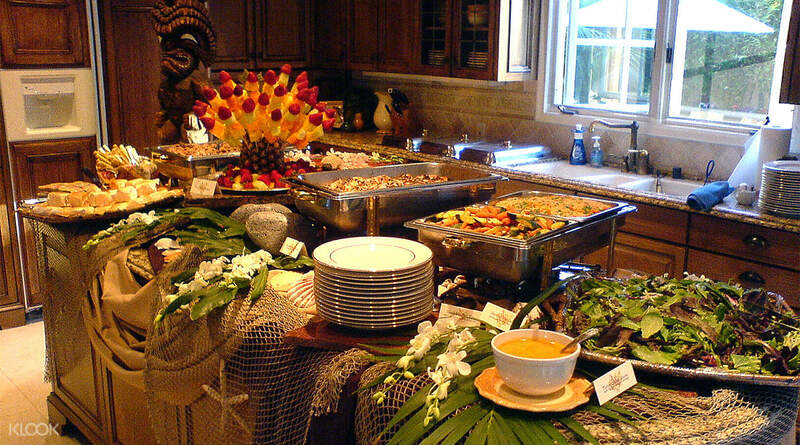 Sit back and relax in the luau's intimate and casual setting as you help yourself to a multi-course Polynesian buffet that's sure to thrill your taste buds, including American favorites and local delicacies. Women will learn the Hukilau Hula, and the men the Tahitian Ami, while the sounds of drumming and island music provide the enchanting rhythm. You'll also enjoy a variety of refreshing drinks like the popular Tai Mai or Blue Hawaii, as well as a large selection of non-alcoholic drinks. The luau ends with a stunning Polynesian Revuew, where you'll see the Tahitian drum dance and the Samoan fire-knife dance. This is an experience that's simply too good to miss! 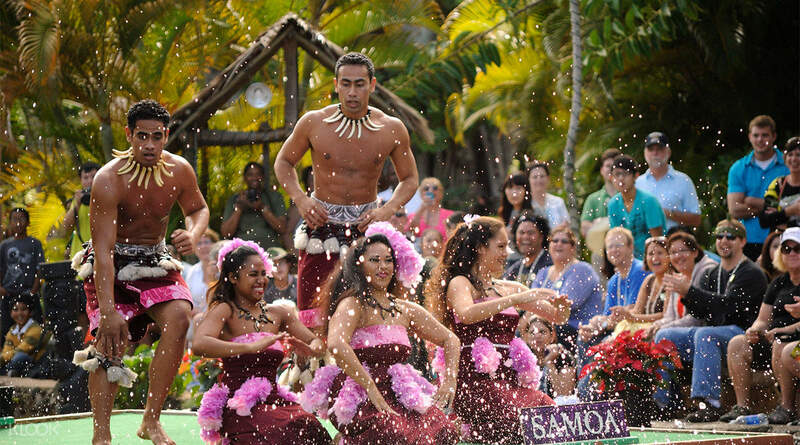 Enjoy an experience like no other with a visit to Germaine's Luau in Oahu! 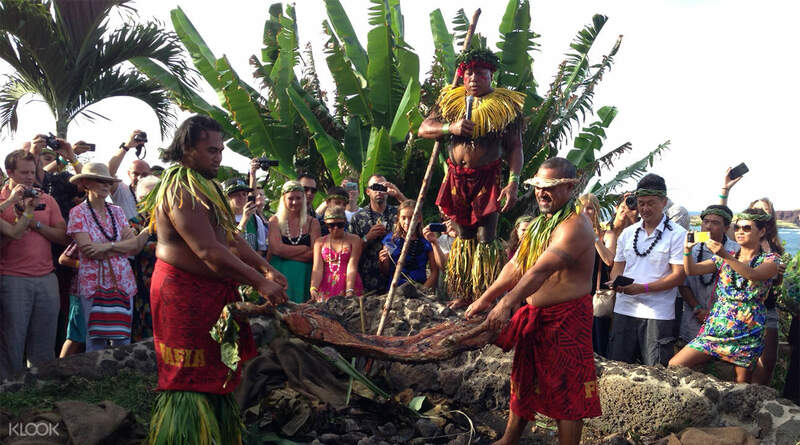 Watch hula performances, drum dances and the exciting Samoan fire-knife dance! Overall it’s a great experience. Nice food, great dancing and songs, and friendly staff. It would be better if we can learn more about the story behind Luau and how the pig was cooked (we only saw how the pig was removed from the ground). Overall it’s a great experience. Nice food, great dancing and songs, and friendly staff. It would be better if we can learn more about the story behind Luau and how the pig was cooked (we only saw how the pig was removed from the ground). very delicious food! highly recommend! very delicious food! highly recommend! Recommend! Good experience for us. Recommend! Good experience for us.